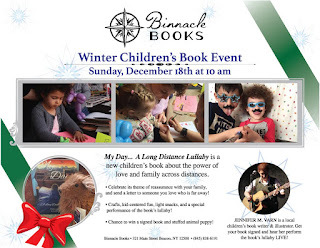 First Winter Children's Book Event in Beacon, NY! 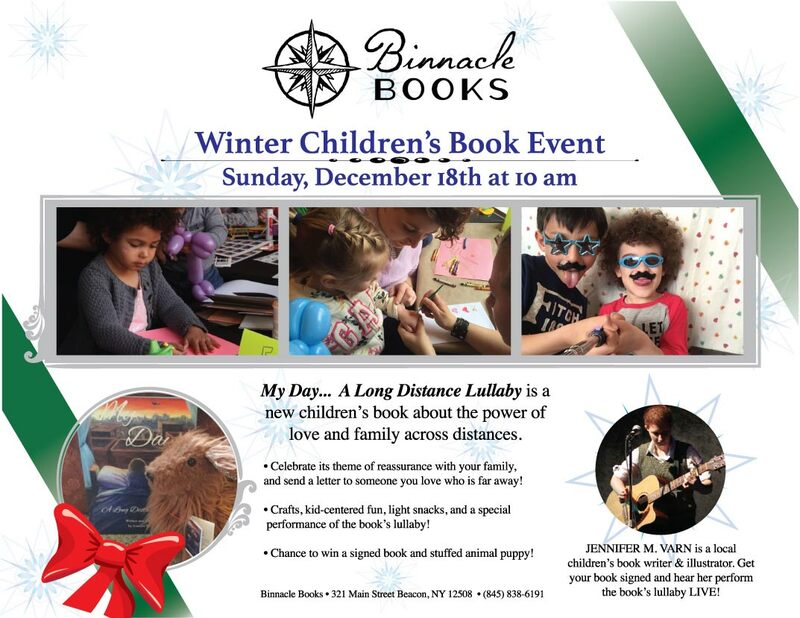 Join us at Binnacle Books in Beacon, NY on Sunday, December 18th at 10am, to celebrate the upcoming winter holidays by spending a kid-centric family day together! There will be crafts, cupcakes, letter-making, and a special performance of the book's lullaby by the author/illustrator. There will also be an exciting opportunity to win a signed book and stuffed animal My Day puppy! Books will be made available to purchase and have signed at this event. Binnacle Books is located at 321 Main Street Beacon, NY 12508. Have any questions? Please contact the store at (845) 838-6191 or info@binnaclebooks.com.